Our Lipo-Laser is world class technology and the most advanced non-surgical fat reduction and body shaping system available. Lipo-Laser uses a low level laser device which is used to trigger the release of triglycerides (stored fat) within the cells without exercise and is able to target the precise stubborn areas for instant fat reduction, body contouring and eliminating cellulite. 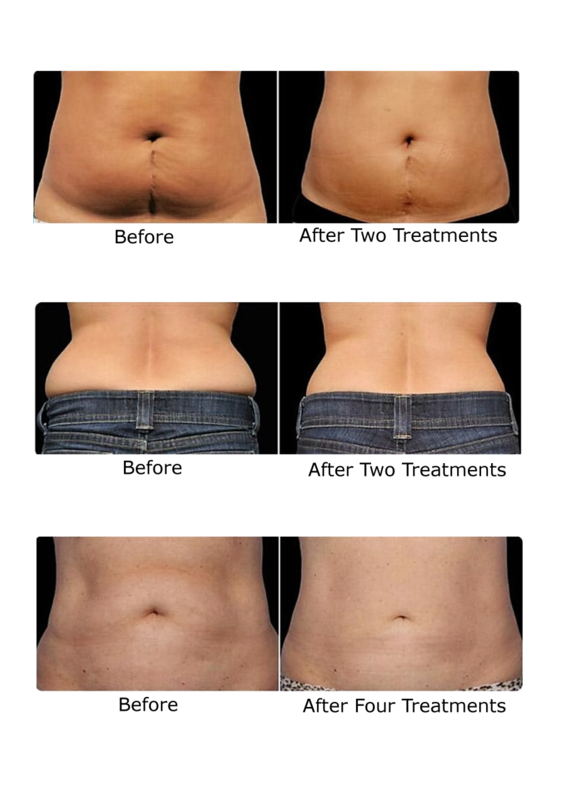 Lipo-Laser is backed by physicians and doctors worldwide with multiple proven clinical studies. Patients can expect to lose at least 1-2 dress sizes with a course of 8 to 12 treatments within a 4 to 6 week period with absolutely no change in their lifestyle or diet, but treatments are best combined with a good diet, drinking plenty of water and exercise to maintain results permanently. Even though results are experienced after the first session a treatment course should consist of at least 8 sessions, performed twice a week so body sculpting, reshaping and dress size reduction can be completed within a four week period. A maximum of 1-2 areas is treated per day in order to burn off the necessary fat excess. Once a patient has completed a course of treatments they need to maintain a healthy lifestyle to keep their results. We have made treatment prices and packages very affordable enabling our clients to achieve that special look you have always wanted and every treatment also includes a 30 Minute Full Spectrum Sauna valued at $30 which works together brilliantly and gives you even quicker and greater results. The following are pictures of our clients who have used Lipo Laser at our clinic here, and have experienced Great Results in a very short period of time. Using multiple laser paddles, placed directly onto the skin, a laser then beams low level light energy which penetrates the skin just deep enough to reach the layers of fat cells. When the light hits the fat cells the transformation begins! The lasers cause the fat cell structure to open, allowing fatty acid(triglycerides), water and other bi-products contained within the cell to empty out. This causes the fat cell to significantly lose its round shape instantly becoming flatter & thinner and ultimately changing your shape leading to a slimmer, more toned figure and overall improvement in health. After the stored fat is released into the body Lipo-Laser uses the body’s lymphatic system through stimulation of the nodes in the treatment area. It is extremely important to raise your metabolic rate through at least 20 minutes of brisk exercise within the next 12 hours after treatment to help remove these bi-products, but to help you achieve the ultimate results you will be spending 20-30 minutes in our full spectrum sauna straight after which sees you burning twice as many calories within the same time period and also (releasing the fat, triglycerides and bi-products through your biggest organ, the skin, taking pressure off your most important organ the liver) gauranteeing you remove the fat and waste completely from your body’s fat storage making the entire treatment permanent and ensuring stubborn fat will not return. The great thing about this treatment is that the paddles can be used on many of those troublesome body areas where fat just won’t shift no matter how long you spend in the gym . Our Lipo-Laser technology can target areas such as the double chin, upper arms, lower or upper abdomen, inner or outer thighs and even ankles. 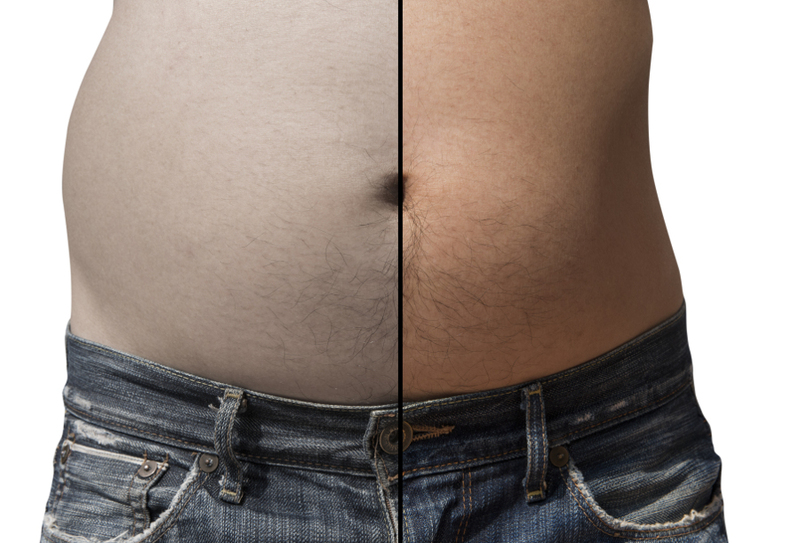 This means fat can be broken down and removed from almost every body part where there are specific concerns. This treatment is available for women and men of all shapes and sizes. Typically 1-3 cm average reduction in waistline is achieved in each session. The Lipo-Laser treatment is quick and simple, with the whole process being completed in less than 40 minutes with the entire process clinically proven to be totally safe, and very relaxing. It doesn’t effect any other part of your body, including skin,blood vessels or nerves and cells remain intact, just much smaller than before, giving amazing and immediate results with a dramatic improvement in cellulite. It can be used on all skin types and body areas with most people feeling a slight warm sensation where the treatment paddles are placed. There is no needles or pain and you can return to normal activity immediately after a treatment.